Ghetto By the Sea is the second anthology in an annual series produced by the students of P.O.P.S. the Club, a club for those whose lives have been touched by prison. In short memoirs, poems, photographs and drawings, the students tell the stories of their lives—sometimes stories about how their lives have been touched by prison, often by the ways in which all kinds of losses change us, forever. POPS stands for Pain of the Prison System. We’re a nonprofit creating high school clubs for those students whose lives have been impacted by incarceration. One in 28 children in the United States has a parent in prison–when siblings, close friends and other loved ones are included, the number of students suffering the stigma, sorrow and shame of a connection to prison is staggering. POPS started in early 2013 at Venice High School and is expanding to schools across the state and country. Today, there are three clubs in Los Anegeles, one in Hayward, California, one in northwest Minnesota, and several more launching in the coming year: in L.A., northern California, Washington State, and Ohio. How did the anthology come about? POPS the club publishes an annual anthology of the students’ writings (and their work is also published on our website). Cofounder Dennis Danziger and I are both writers and teachers. We know that giving students a forum and opportunity to tell their stories not only heals some of their pain but offers stories to the world that are too often unheard—stories by those who seldom have a platform. Too often shame and stigma silence those with incarcerated loved ones, and one of the missions of POPS is to provide a place where students come together and share their stories. Our first anthology, Runaway Thoughts, was published in spring 2014, our second, Ghetto By the Sea in spring 2015, and 2016 will welcome the third … as yet untitled. All the anthologies are available online at Amazon and Barnes & Noble and also through Ingram Spark Lightning Source. What is your submission and publishing process? All POPS students are encouraged and mentored in their writing, drawing, painting and composing. When ready for submission, students send their work to me (Amy Friedman, Executive Director of POPS). Supported by a team of volunteers and staff editor Lauren Marks, Amy works with these young artists and publishes their work on the POPS website—often expanded versions of website work are included in the anthology as well as photographs and drawings. Some of the students’ work is also published weekly on The Good Men Project. Why is writing and creative expression so important for young people? For anyone? The students say it best: Many say that without their writing or art as a place to express their pain and confusion and sorrows, they have, some of them, turned to violence or drugs, others to depression. Writing their stories and sharing them, they say, heals them. Their sorrows don’t go away, but their perspective alters, and listening to each other’s stories makes them feel a part of a larger community, people of deeper understanding. I believe creative expression fosters compassion, and I see this in action at POPS every day. What are some of the challenges people face when staring at the blank page and how do they overcome them, especially when writing such personal material? POPS Sponsors and volunteers work with students using the POPS manual which has prompts and other exercises, designed by Dennis and me. We also incorporated the inspiration and ideas from fellow writers Laurenne Sala, Arrowyn Ambrose, Lauren Marks and Andres Reconco. In both weekly meetings and outside of those meetings, students work on their stories and share them with each other before submission. Their fellow students inspire them and give them courage. But what I see with POPS is that one student may not wish to write about his or her life and situation, but if another does it and shares that story, a second student is inspired to do so, and by the 10th, it’s easier and easier—the community holds them, the community holds and honors their stories and makes them feel inspired and safe. Also, the prompt “I come from” is hugely inspiring. Advice for those who want to start writing? Become better writers? Write, write, write, write. Read, read, read, read. Don’t start with a vision of what you want the piece to be ultimately, start with the simple, “This is what I have to say,” and see where that takes you. One of the problems: We are always reading books that are last drafts. It’s important to know a last draft never looked that way in the beginning. Advice for people who want to submit to an anthology? The anthology is for the work of POPS students. If you’re interested in bringing a POPS club to your community, please contact me at popsvenice@gmail.com. And if you are interested in working with POPS, please let me know. Make a plan. Challenge yourself to create a deadline. “I will write three chapters in three months.” Write that plan down on a calendar. When someone calls and says, “Time for lunch?” and you see your writing time there on the calendar, you’ll learn to say no, and you’ll show up for yourself. What do you know now that you wish you knew before taking on this project? Too many things. The work entailed in being an Executive Director of a small nonprofit. But maybe what I wish I knew most of all is to always go with the magic. Sometimes the logical plan doesn’t pan out, but if you’re doing something you believe in, the magic will find you. Magic like Debra Eckerling writing and saying, “Can I interview you about POPS?” and offering this opportunity. 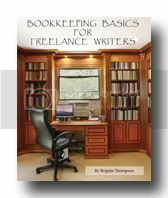 Author Q&A: Elliott Katz, "Being the Strong Man a Woman Wants"
Author Q&A: Brigitte A. Thompson, "Bookkeeping Basics for Freelance Writers"